Earlier today Final Fantasy XV players were greeted at boot-up with a 9GB patch (version 1.12) which, as many have keenly pointed out, comes just one day before the release of Episode Prompto. Free to season pass holders but also available as standalone DLC, Episode Prompto offers players a chance to step into the lovable photographer’s shoes and take some shots of their own. 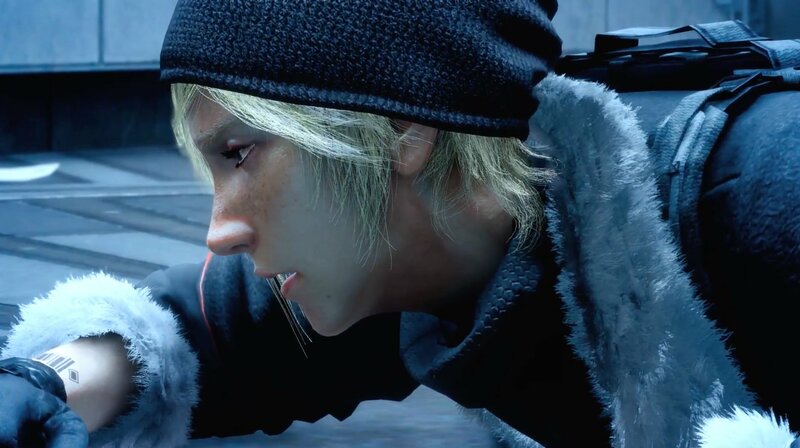 Without spoiling too much, EP delves into Prompto’s backstory while showcasing and making playable some choice narrative moments when he is apart from Noctis and the boys. Sprawling snowscapes, heavy gunplay, and extra screen time for Aranea, a side-character from the story proper, were all featured in last week’s teaser (linked below). The DLC will also show off some new tracks from guest composer Naoshi Mizuta, who has worked on a number of past Square Enix titles. In addition to the core DLC content, this update also sees to the inclusion of new tech for the Regalia. A quality of life fix for many, the Regalia Type-D transforms the gang’s whip into a monster truck, allowing for some serious off-roading capabilities. Catching big air while in Type-D will also trigger a scoring system. Jumps are scored based on how gnar you were, so feel free to get a little dangerous with the old girl—after all, limits were only made to be broken. The action packed DLC goes live tomorrow for the Xbox One and PlayStation 4. Watch the Episode Prompto trailer here and Square Enix’s Final Fantasy Universe video (a roadmap laying out upcoming and future content to look forward to) here.